This week in Friday Faves! TEDx talk with Chuck Marohn – Starting out with an interesting comparative between historical Spain and US, the executive director of Strong Towns, emphasizes the importance of returning roads (as opposed to streets) to towns for community and economic development. 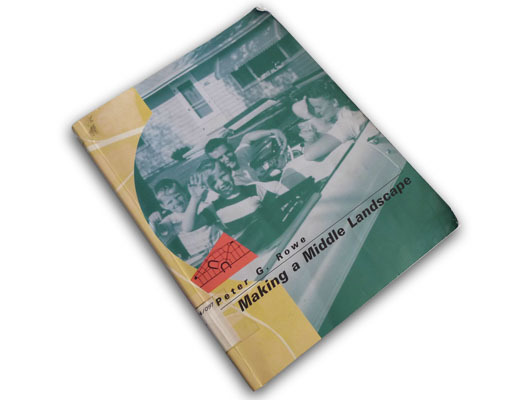 Making a Middle Landscape – Particularly relevant to our program in its analysis of the ‘middle’ or as we call it ‘intermediate’ landscape, this book from 1991 by Peter Rowe looks at how cultural artefacts like houses, shopping places, workplaces, and highways have shaped suburban expansion and how they can serve as a basis for a new approach to urban design. LRT: Is it the answer? – Is Light Rail Transit the Answer to Stop Sprawl? An emerging case study in Waterloo, Canada. NASA’s Theoretical Space Colonies – And something just for fun: NASA’s 1970s ideas for creating colonies between the Earth and the moon! 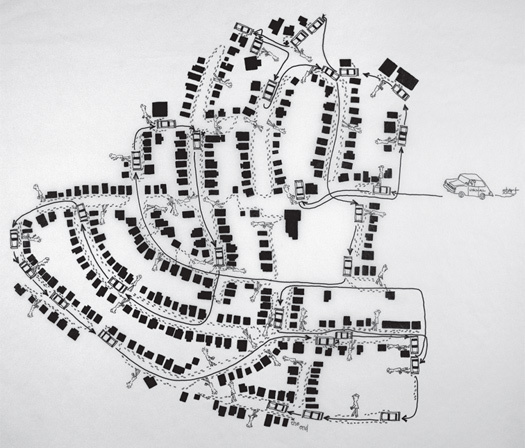 A perfect reflection of the suburban trends of the time. Wishing everyone a great Friday and a stellar weekend!